I've been grinding my teeth for over ten years, and I have tried every type of treatments that I can find. This includes massage, acupuncture, acupressure, muscle relaxant, yoga, stress relief, vitamin B5, Magnesium, opening mouth for half an hour a day, jaw muscle workout, etc. But the biggest problem is that I don't know any of these treatments are working. I've previously tried to build a Mouth Guard with the pressure sensor, and that met a lot of challenge. 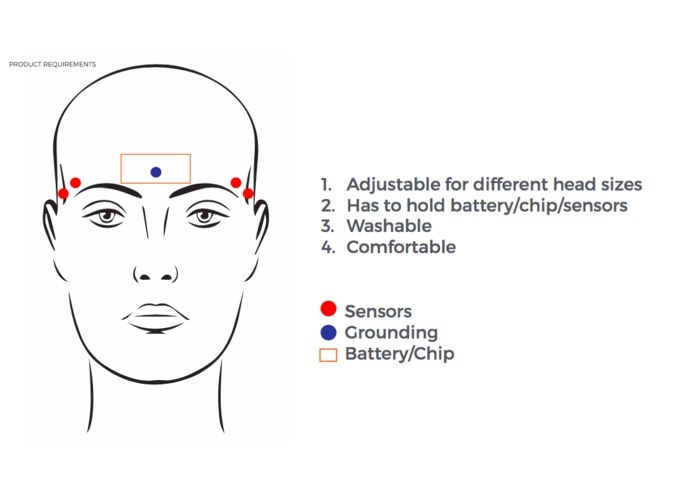 After playing with muscle sensor for trying to make a smart workout shirt, I was able to find a good way of tracking Bruxism. If you are grinding your teeth and interested in this device feel free to signup at www.grindbit.com. Grindbit uses EMG sensor at the temple area, which is able to detect the muscle movements of biting.A separate gyroscope will be measuring user's sleep position. User can charge Grindbit's battery during the day, and charge their phone's battery at night, this way they never have to worry about a wearable that's constantly out of battery these days. Also one can detect data reflecting nightly grinding and clenching patterns while under treatments such as acupuncture, stress relief (yoga, for example) intake of various herbs, and different exercise and diet regimens. User can easily correlate the data recorded with one treatment to that of another to compare and contrast the degrees of effectiveness of different treatments. For example, if you use the Grindbit with Fitbit data, we may be able to find that the maybe more exercise you do, the less teeth grinding occurs at night. Another scenario here is that we can also correlate the data with sleep position data: if you grind less when you are sleeping on your side rather than your back, you can try to modify your behavior to sleep on the side instead. We can also correlate the data with the amount of hours you’ve worked. Many apps such as aviate provide this data based on location tracking. If you find that working more hours is causing bruxism at night, maybe it’s time to spend a few of those extra hours on your well-being. Another possible scenario is medication. 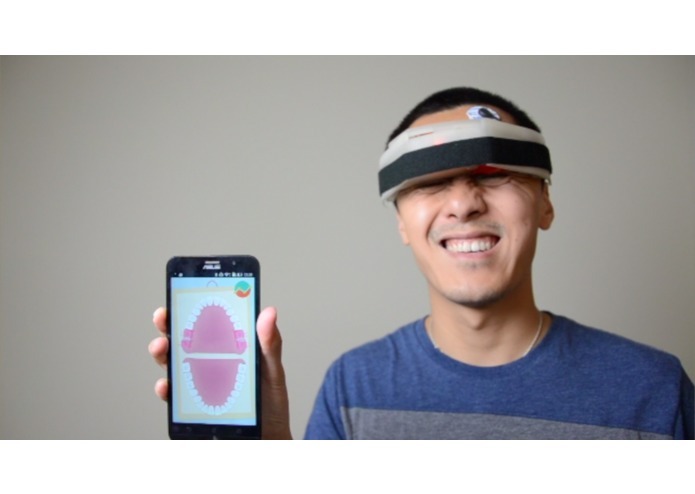 Pharmaceutical companies can finally perform their double blind test with this device. So far we don’t know whether any medications are truly effective because there was no way to track the progress, or lack of. Now we can. 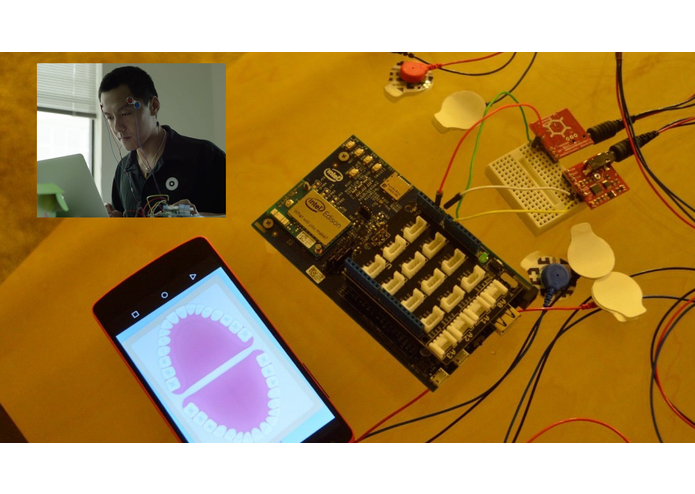 This app had 3 iterations, 2 years ago I built a mouthguard with pressure sensors to it. It had decent reception from people. 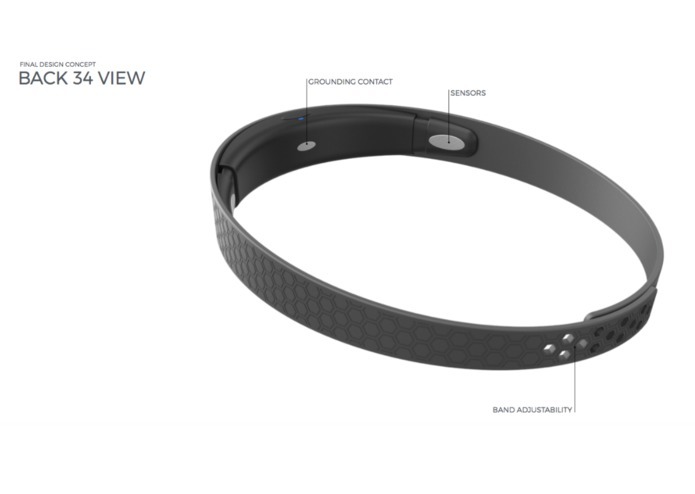 After 2 years we've evolved the product into a healthband. Having left temple connect to the A0 on and right temple area connect to A1 and we are all set. 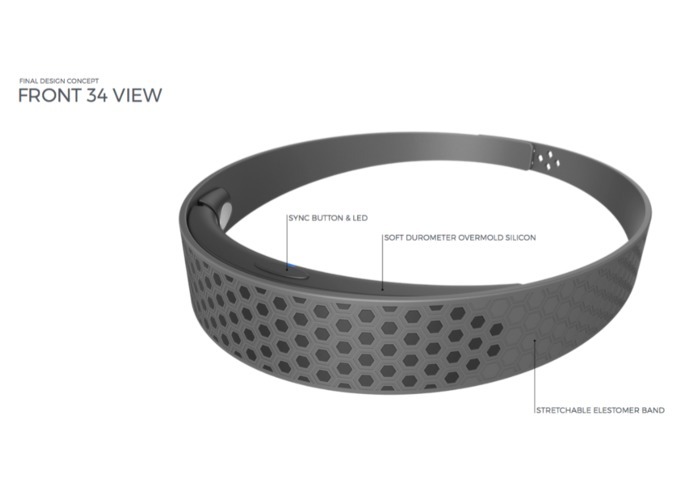 A 3D printed case can be used to print out the headband, which can be used for an actual demo. Currently the device transfers the data to Android via BLE, then the Android uploads the data to the backend. The backend is running OpenShift, using node.js and mongodb, which stores entire data for the user throughout the night. The data will be passed to the backend. In the very near future we will normalize the data by day, week, and month through backend logic. I am able to build out the 3 iterations of this product, once smaller chip comes out we'll be able improve our design even more. User experience means everything when it comes to hardware, and you need data before you can solve some of the big hurdles. In the immediate future I will be 3D print out additional enclosures to find the best fit, making product lighter so that prototype can be used to test out during sleep. Currently 3D printed case is a little too heavy during sleep.